Our ac services in Bloomsbury have always been in demand, every summer, for the past 25 years of our company’s existence. We provision of quality HVAC services done by experienced and technically skilled professionals using the latest technological tools and with our top notch customer service. Our air conditioning services helps to regulate and get cool air into the house during hot periods of the year. We do ac installations, repairs and replacement. Our services come with guarantee for all residents of Bloomsbury NJ. During the summer, Central NJ usually has hot and humid weather and a cooling systems is required to keep the home cool at all times. If your ac systems stops functioning or breakdown, All Week’s emergency rescue team can get it back to working condition same day. 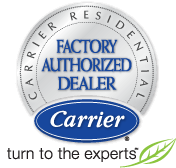 All Week has skilled and NATE certified HVAC technicians licensed, insured with years of experience in ac installations and repairs. Whatever is the challenge with your cooling system, we are fully up to the task. We carefully assess during inspection to know the problems of the ac system and with the use of our tools, resolve and service it to make it functional. We have an advantage service plan that covers servicing of the ac system and its component parts. Some parts can wear out after being in use for some time and they need to be serviced or part replaced. Avoid breakdown of air conditioning system by contacting us now.